West Pharmacy is a family run business with a full-service pharmacy that has been locally owned and operated since 1987. We offer all of the medications and services of a modern pharmacy, but with the friendly, personalized service of an independent business. At West Pharmacy, we believe that being a local independent pharmacy means providing healthcare and compounding services to our patients that are customized to meet their needs. Stop by today and experience what personalized care feels like. 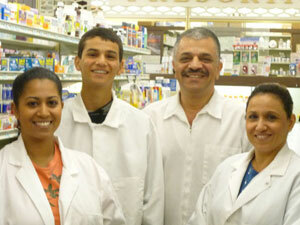 Headed by none other than veteran pharmacist Phil Bichai, the team at West Pharmacy is filled with pharmacy experts. With a state-of-the-art lab and allied infrastructure, the pharmacists at West Pharmacy have years of experience to back them up.